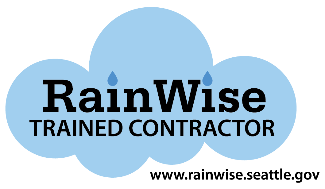 Please sign up for spots at upcoming RainWise Workshops, RainWise Tabling and Contractor Fairs using your company name (personnel names can go in notes). Please only one slot per event (even if you will have more than one staff). If we find that there is more demand than supply, we may contact you to reduce your sign ups and give everyone a fair chance. Clicking below will add 18 entries from this sign up page into your personal calendar program. Your calendar will be kept in sync as more people sign up. If you want to sync the items you signed up for, login to your SignUpGenius account and go to the "Invited To" page.